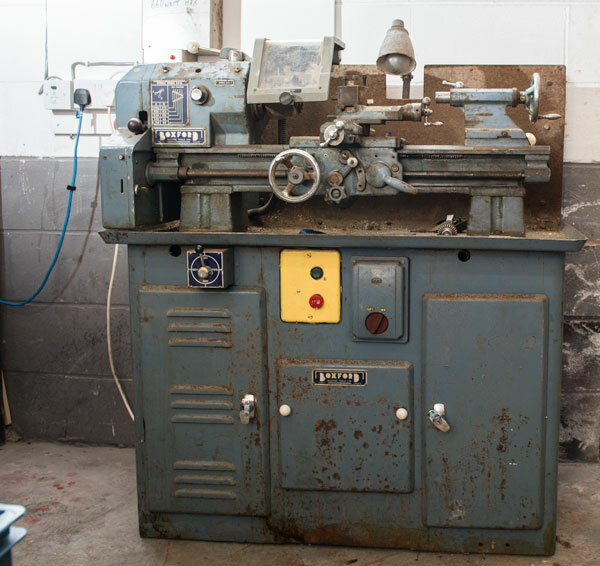 I’ve been on the look out for a secondhand lathe for sometime now so when friend Keith knocked on the door to say he’d found one I was thrilled! 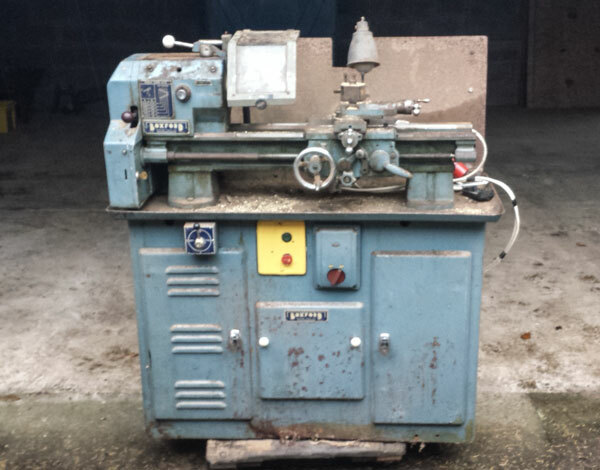 I’ve seen quite a few lathes for sale on Ebay but all have been some distance away, this one was nearby. 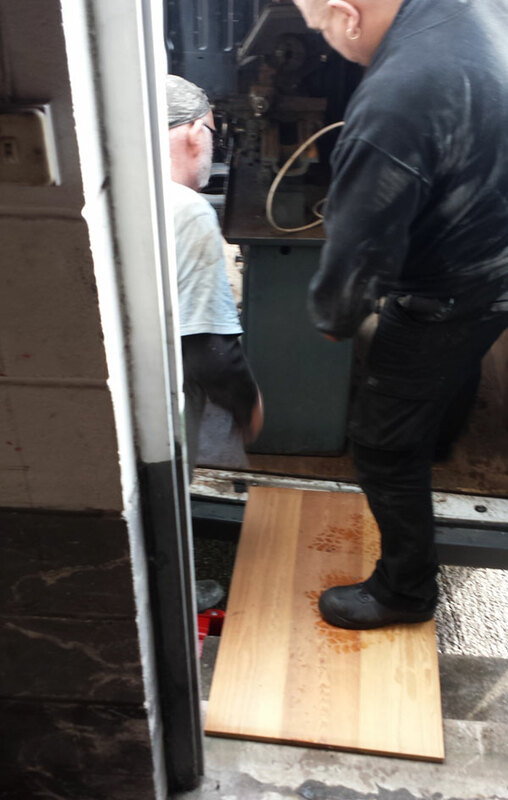 Less that half an hour later we there there taking this picture and giving the lathe a good looking over. 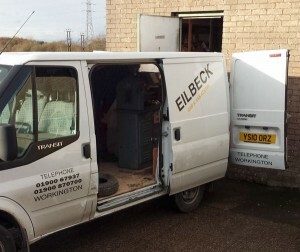 At two to three hundred kilograms it was more than my car would carry so after securing the lathe with a deposit it was back home to sort out van hire and clear a space in my shed. Hire van at the ready, we loaded up the lathe. 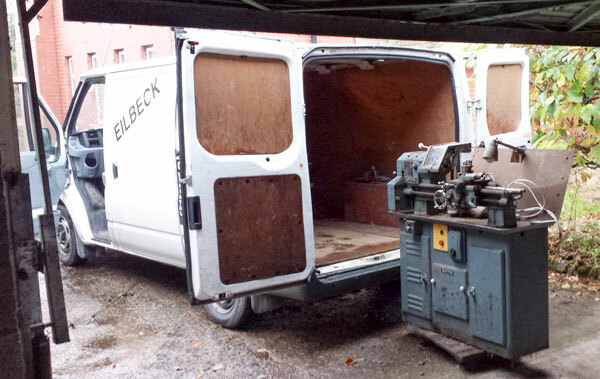 After trying various directions we opted to lay the lathe on its back in the back of the van. The lathe runs on three phase electricity so a little extra work was required getting everything connected. The RCD is there for safety as the electrical supply in the shed is protected only by old fashioned wire fuses. 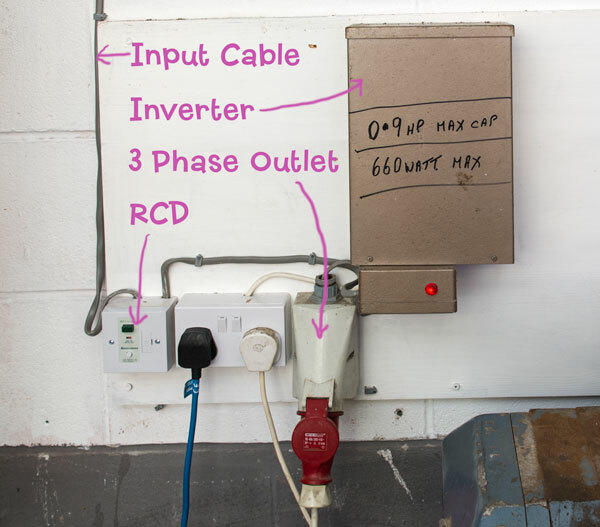 From the RCD the electricity goes into the inverter box and is converted to three phase. The red outlet feeds into the lathe. Next step will be a general clean and service but for now I’m delighted to say that I finally have a working lathe! You can see it in action on my Instagram channel here.